LUCKY 7 is the feature where we ask artists to name their 6 favourite songs by others, and a lucky 7th song of their own. 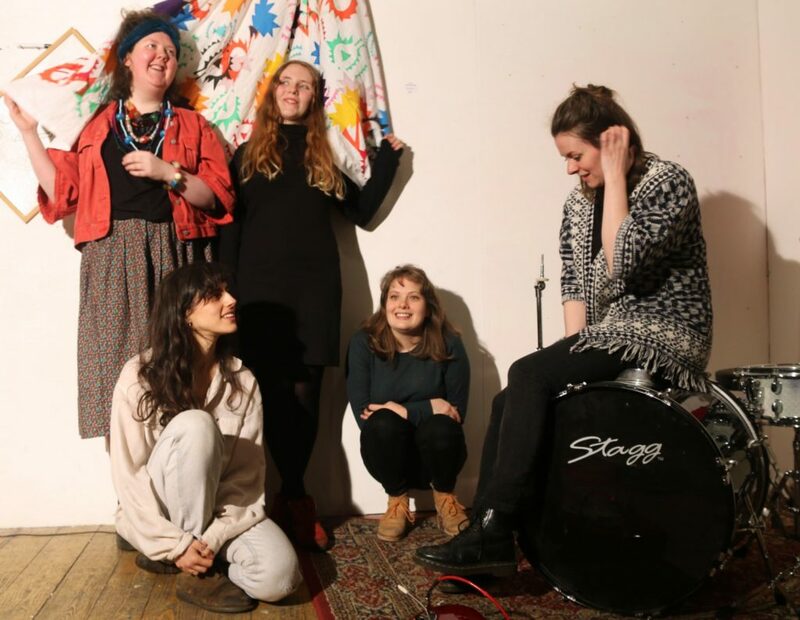 Today, it’s Hairband, a Glasgow 5 piece featuring members of groups Spinning Coin, Breakfast Muff, Lush Purr and Kaputt. Despite forming in 2016 they sound timeless like they could equally have been on home on Postcard, Sarah or Wiiija Records they play like Action Painting, have attitude like the Action Swingers and are friends/contemporaries of Sacred Paws on Mogwai’s Rock Action. So in short, it’s action, action, action! 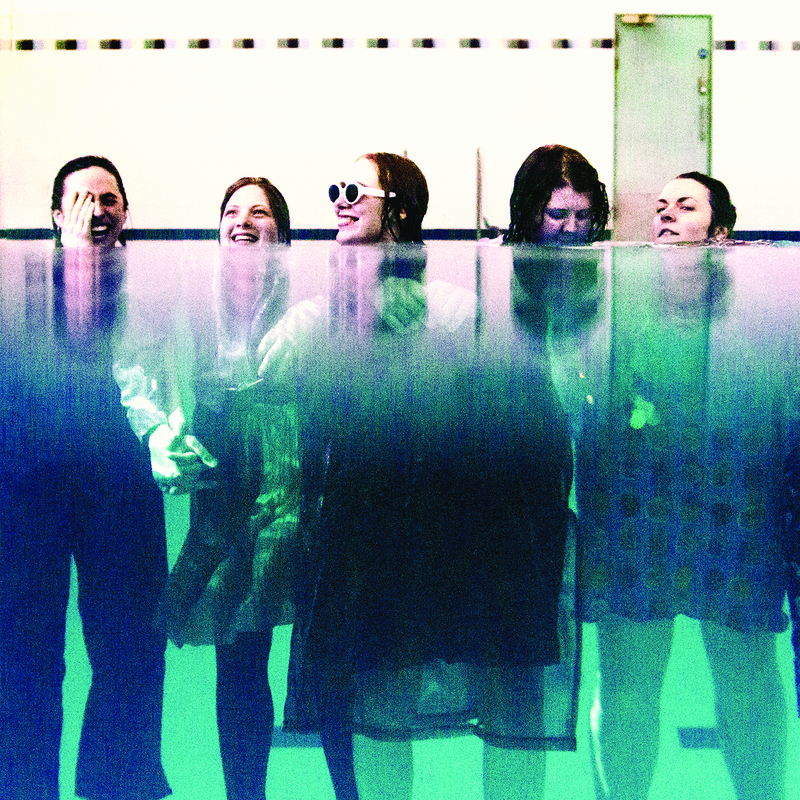 They’ve got a self-titled debut album called coming on Monorail Music (19 Oct) and its underwater artwork is like Slint “Spiderland” in a municipal pool diving for bricks. Emma – “Punk rock changed our lives!” Minutemen were all about promoting how everyone, no matter their background or ability should have access to playing and watching live music (We Jam Econo is one of the best ever music docs!) and this is something which we are so lucky to have in Glasgow, a real community and second family! A friend recently walked down the aisle to this track at her wedding, so bloody cool! Rachel – I love how raw this record sounds. This song is a cherished favourite of mine – the lyrics are elliptical and the arrangement is brilliant. Rowan – I think I heard this song for the first time when I was about 14 and I still think it might be my favourite choral piece of music ever. The way the harmonies and scales work leaves it right on the verge between profoundly beautiful and almost a little bit terrifying, either way it has that sort of haunting quality that makes it so special. Sephi – I treasure this song! Whenever I happen to hear it, it stops me in my tracks. The lyrics and vocals are honest and awakening. Simone – Deerhoof are a band that I could never get bored of, their sound to me is something that encompasses growth and learning, fun and chaos. It feels like the rhythms all at once fit and are falling apart simultaneously. This list probably shows how diverse our music tastes can be, so when it comes to choosing songs for lists like this together it can be a bit tricky. However, there are a few things we can agree on and this song is one of them, it’s just joy in a song. The vocals are perfection and you can’t not dance to it. We even tried to cover it once, but it turns out playing guitar like Nile Rogers is pretty difficult. We wrote this song not long after forming a band, we were all sat in Glasgow Green and it was the end of the summer so it wasn’t really hot and busy anymore and there was a man blowing lots of bubbles, hundreds of them, and it was really beautiful. We emailed him to see if he wanted to be in a music video and he never got back, I’m sure he’s trustworthy but it still hurt.